Jennifer is a sculptor working in stone, visiting local quarries, carefully selecting blocks of sandstone to take back to her studio to carve. A primary inspiration for her sculpture is the wildlife surrounding her workshop, which nestles at the southern tip of the North York Moors National Park. Her bird and animal subjects are transformed into tactile works of art, yet retain a real sense of 'liveliness'. Her sculpture has a contemporary feel, following clean, simple lines and smooth, curvaceous surfaces. Jennifer has also created a range of garden ornaments - finishing touches, limited edition pieces and decorative items - made in stone. She exhibits work in galleries and at sculpture events throughout the country and also works to commission. 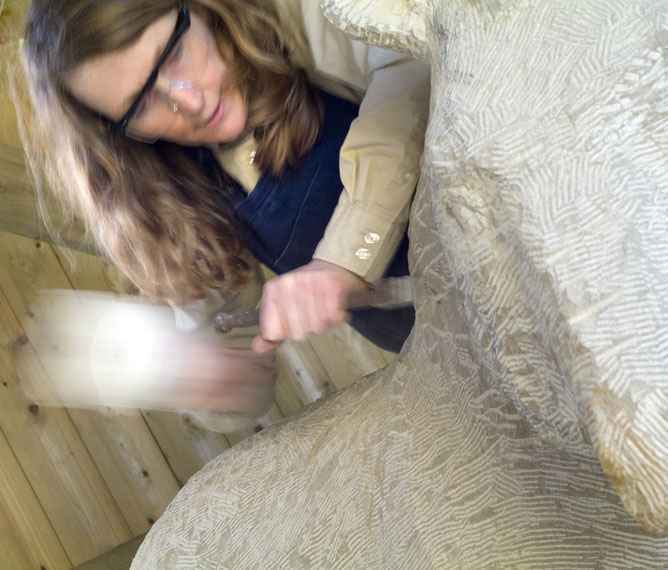 For anyone wishing to try their hand at stone carving - Jennifer runs Stone Carving Courses, and Lettercutting Courses.